Enjoy Manchester history or know someone on your gift list that does? 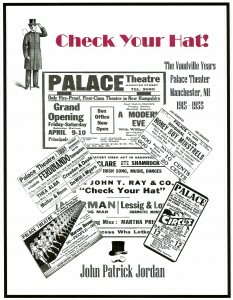 Then stop by the Manchester NH Millyard Museum, located at 200 Bedford Street, Manchester NH. 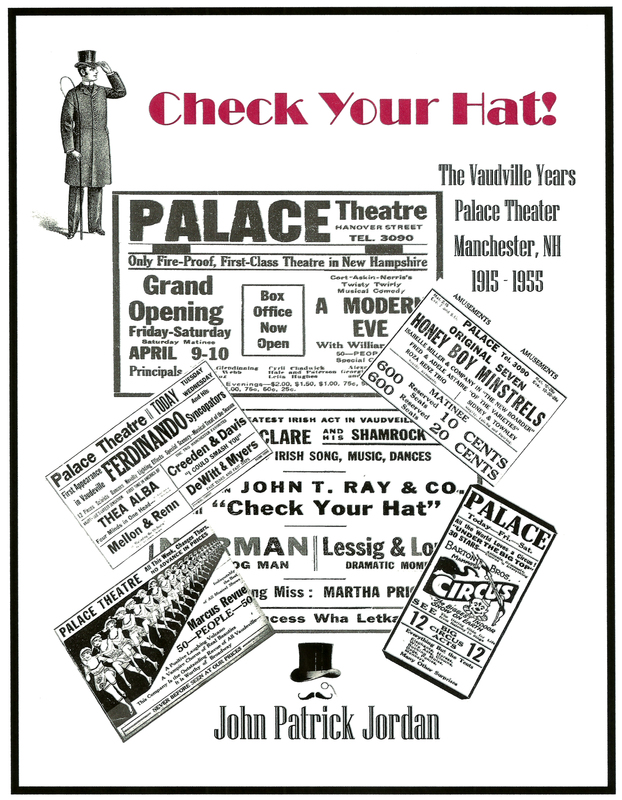 There you will find John Patrick Jordan’s two books, “Saints & Sinners – The Pioneer Irish of Manchester NH – 1835 to 1900″ and “Check Your Hat – The Vaudeville Years of the Palace Theater, Manchester NH – 1900 to 1955″. The Millyard Museum also offers an extensive array of other books, unique gifts, and children games from days gone including books by John Clayton, Aurore Eaton, Ed Brouder, Robert Perreault and more. Click here to see the complete list of books offered for sale at the Millyard Museum. 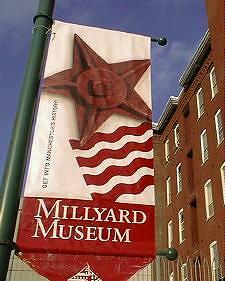 Millyard Museum is located at 200 Bedford Street, Manchester NH. 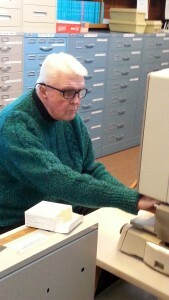 Mr. Jordan is a lifelong Manchester resident. He has spent countless hours researching and sharing the history of Manchester through lectures, walking tours and publications. He has been honored by the Manchester City Library and the Manchester Historic Association and was given a key to the city by Mayor Emile Beaulieu for his efforts to preserve the history of Manchester. Mr. Jordan conducts tours with his good friend, Richard Duckoff, sponsored by the Manchester Historic Association. Recorded tours include “The Victorian North End”, “Pine Grove Cemetery” and “The New Century Neighborhood”. Watch the 2014 MHA Walking Tour Series. John is an author and has published two books, “Saints and Sinners“,a history of the Pioneer Irish of Manchester, NH 1835 – 1900 and “Check Your Hat!“, a history of the vaudeville years of the Palace Theater, 1915 – 1955. 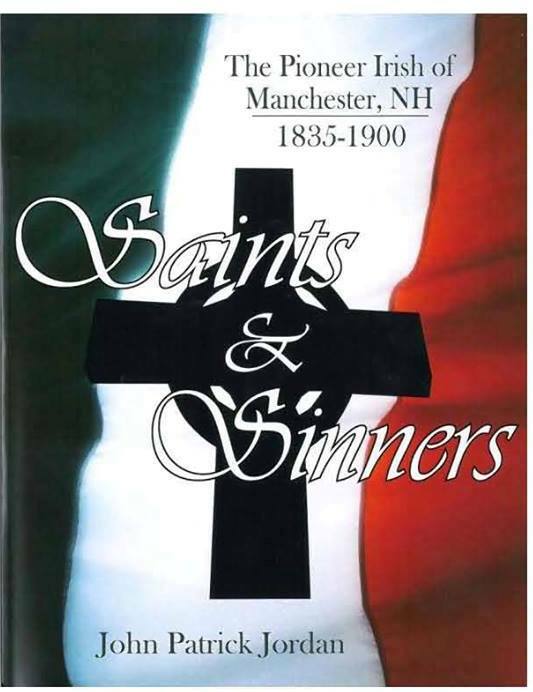 Both books are available for sale at the Manchester Historic Museum located at 200 Bedford Street, Manchester, NH.